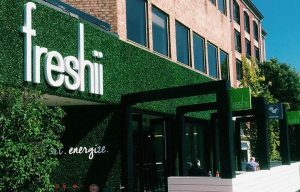 Freshii, a Canadian fast food chain with around 300 stores worldwide, is opening its’ first Northern Ireland store in Belfast. Serving salads, burritos, smoothies, juices and more, the franchise stores also include gluten free and vegan options. Six Freshii stores already operate in the Republic of Ireland with new outlets opening in Limerick and Dublin shortly.